In particular are the five potential returnees from last year’s bronze medal-winning team. 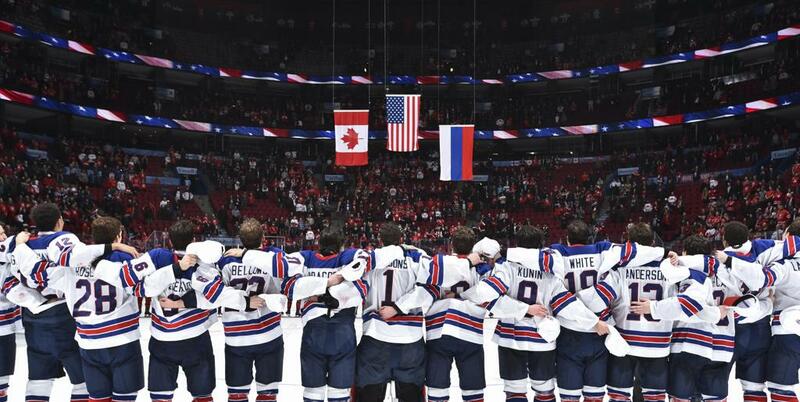 On home ice in Buffalo, N.Y., last year, forwards Ryan Poehling and Josh Norris and defensemen Mikey Anderson, Quinn Hughes and Dylan Samberg helped the U.S. secure its third-straight medal in the event – an unprecedented feat. But while the accomplishment of a third-straight U.S. medal in the event is historic, it wasn’t golden, and that’s the goal entering 2019. With one IIHF World Junior Championship experience under their belt, the five returnees hope that experience – and its disappointment – helps fuel a golden effort this year. The days leading up to the start of the tournament in Vancouver and Victoria, British Columbia, are about building the team chemistry required to compete at the highest level. 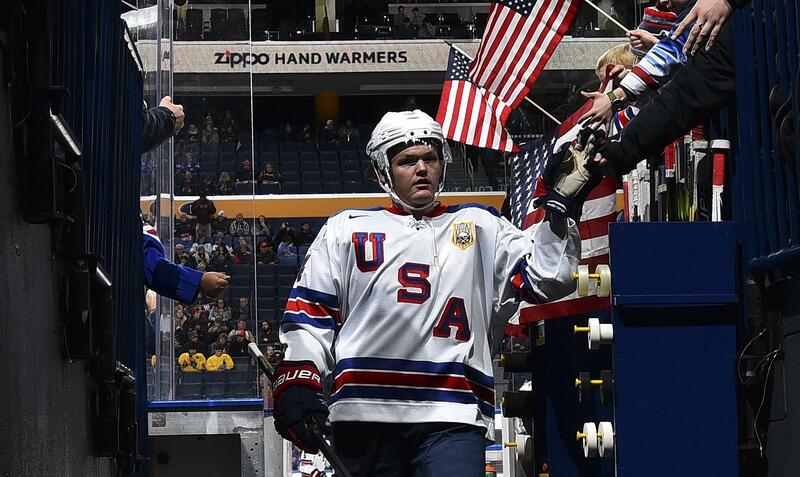 Mikey Anderson leaves the ice following warmups ahead of a preliminary round game against Finland at the 2018 IIHF World Junior Championship. Poehling had three points (one goal, two assists) in seven games in the tournament last year and learned what it takes to get through the grind of so many games in a short period of time. He’s hopeful that experience can help his teammates prepare for it this year. 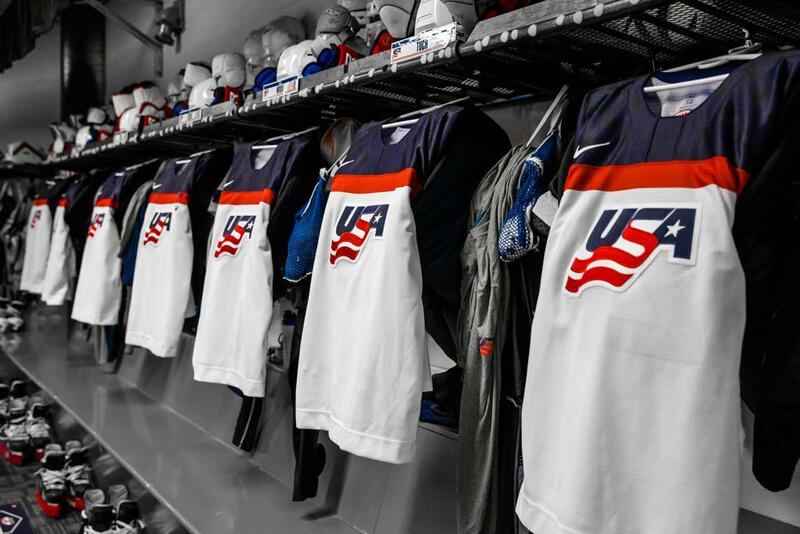 Team USA has claimed 11 medals in the IIHF World Junior Championship, including four gold medals (2017, 2013, 2010, 2004). Team USA’s rich history of success in this tournament is something Anderson and the rest of the group don’t take lightly. With only days remaining before the start of the tournament, the confidence to compete for a gold medal is there. The players who were around for the bronze medal last year are happy they were able to help represent their country and come away with a medal. However, they know there is unfinished business left for them to complete.